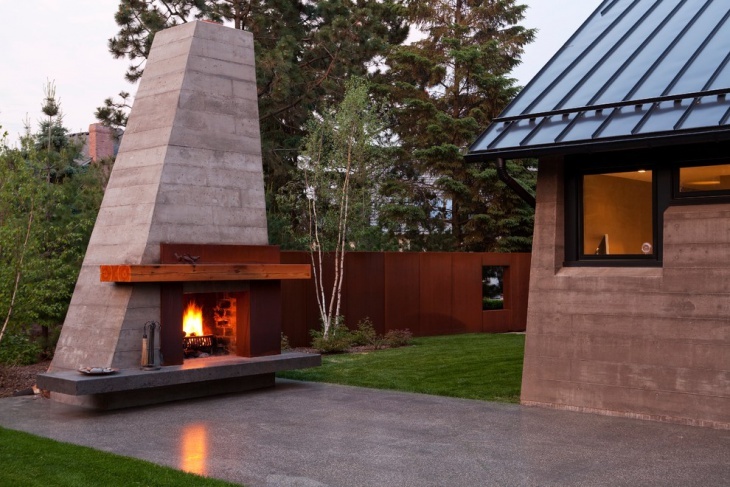 Did you know that concrete patios can form interesting designs? 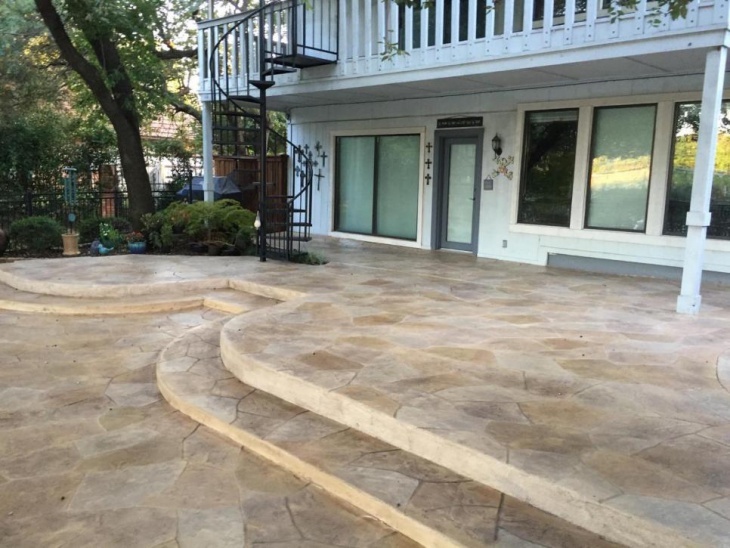 Enhanced by colors and stains, concrete patio designs can be excitingly matched with a home’s exterior landscape. They can also be engraved and stamped to mimic other materials popular with outdoor paving. 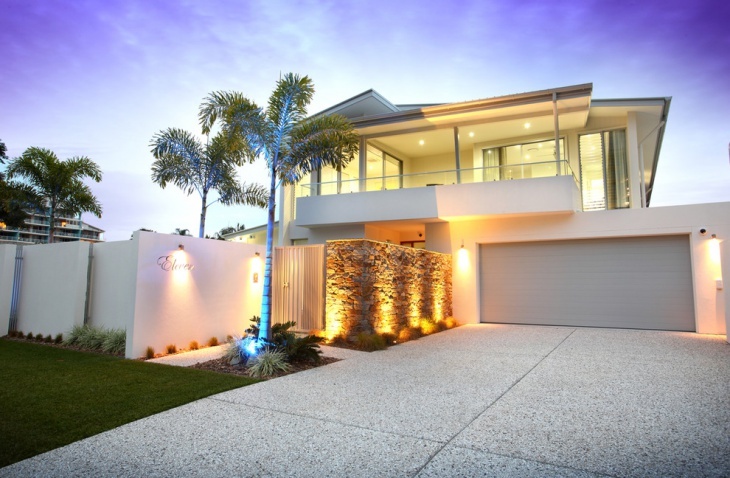 Using a combination of flagstone, tile, slate and brick, you and your designer can come up with landscaping that looks good with both modern and traditional property designs. Let’s look at some example to get a better idea about what a concrete patio paving can look like. 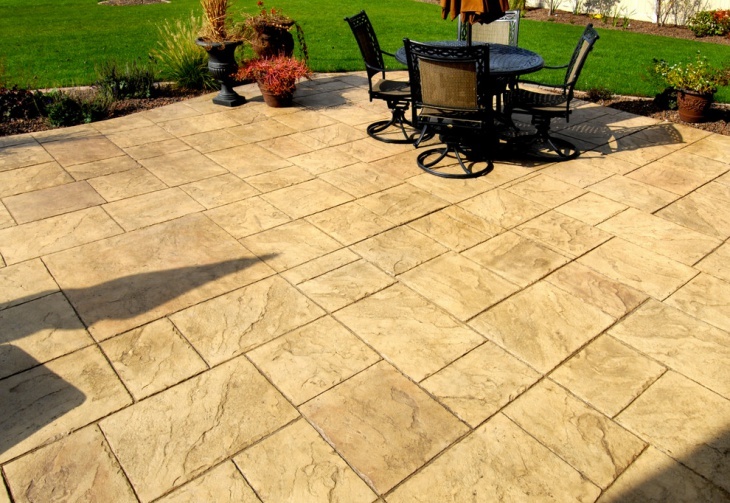 Stamped concrete, as shown in this example mimics gorgeous tiling using slate. The concrete can further be inlaid in various patches to give a uniform an appealing look to the outdoors. 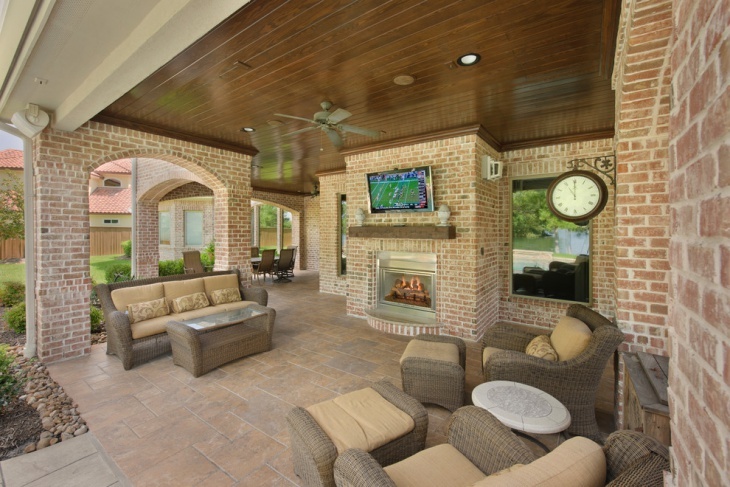 When it comes to patio design, a high quality of concrete material also offers extraordinary durability to the structure. 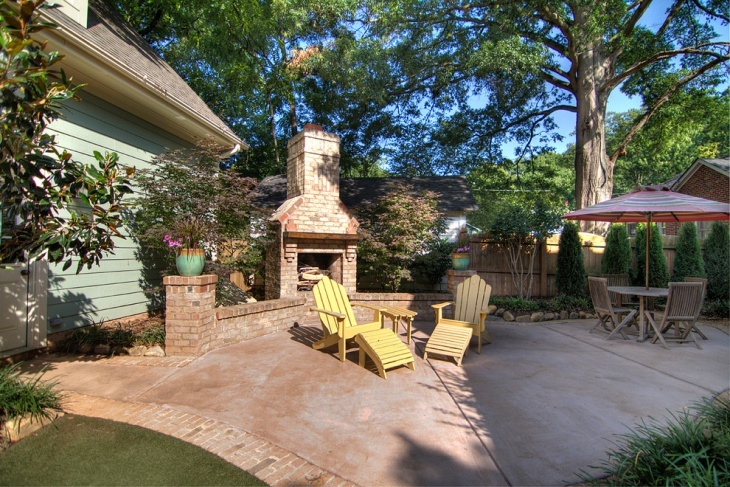 As we can see in this example, the use of color stains has been able to establish a highly exotic patio platform. 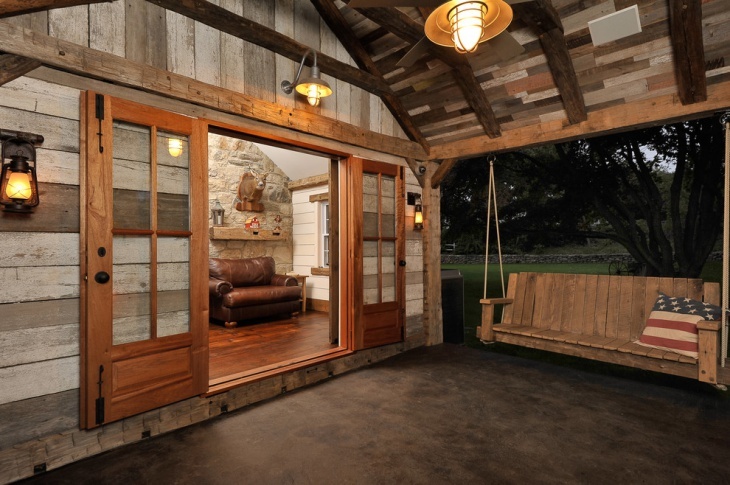 The look is rich and goes perfectly with your rugged home décor. 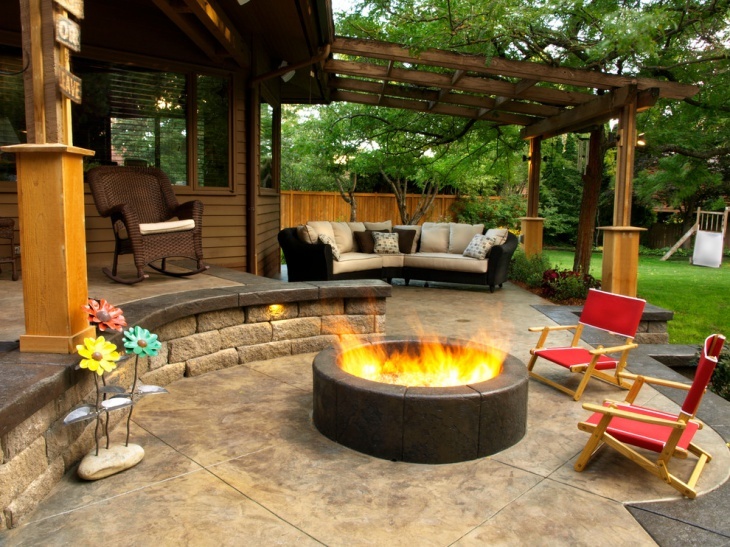 Using wooden seating and rock pillars, this would be an exciting patio integrate to your home. 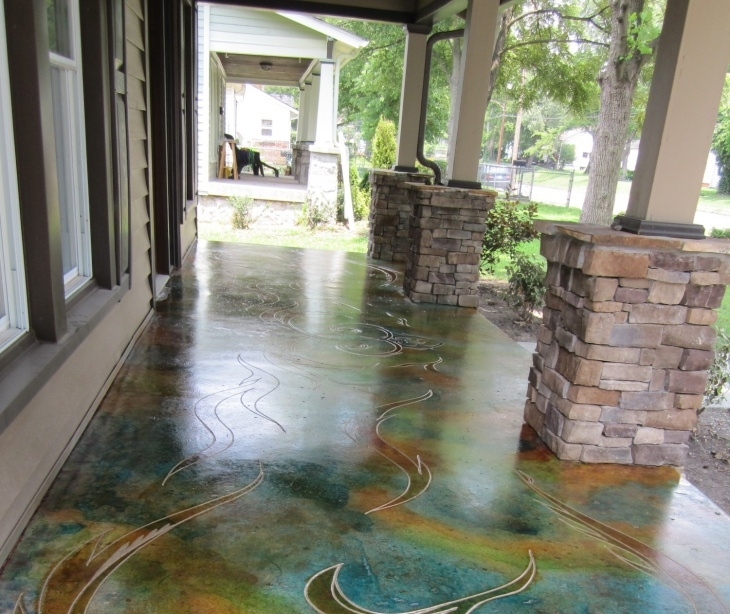 Concrete can also be an exciting way to include some colors in your patio surface. The stains achieved here will not be feasible with any other kind of material, irrespective of your budget. Cheap and durable, there is little reason why you won’t be choosing concrete as your favorite building material. 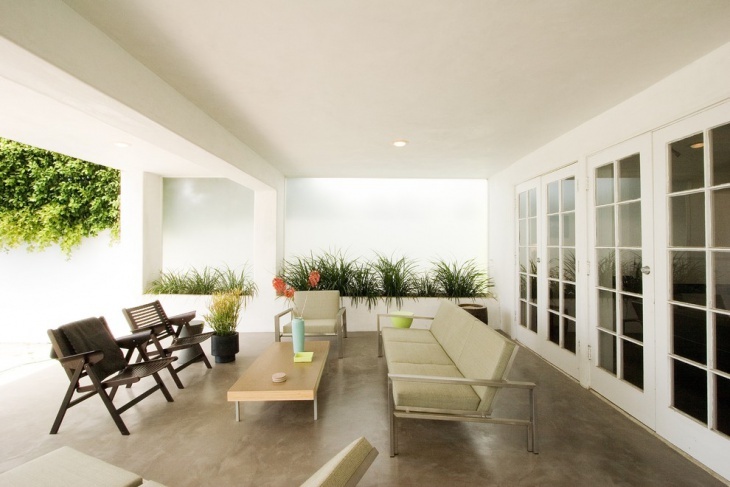 For an indoor patio design, concrete can be a surprising material where you can completely control the color of the stains. 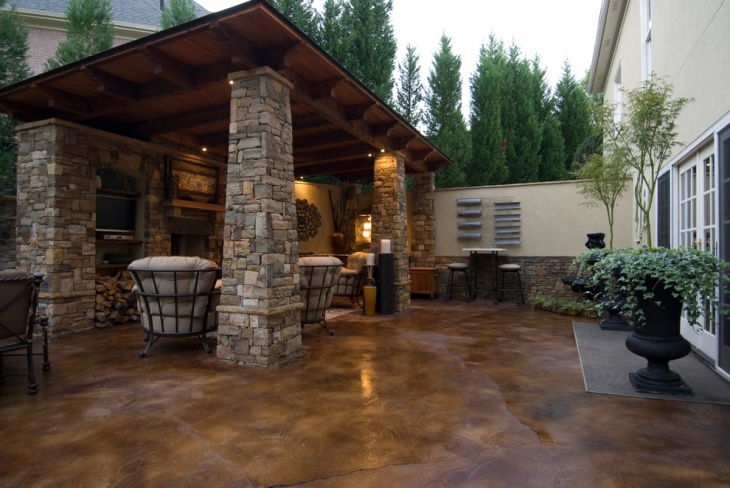 Concrete comes as a great tool to achieve abstract and rich stains in your indoor patio and also offer high durability to the structure. Using stained concrete, this particular paving is further hardened by using stone chips. The application doesn’t just create a beautifully smooth looking surface but also gives a better grip to your vehicle in the driveway. Further, being highly rugged, you won’t have to worry about the maintenance. Patterns and stencil work always look beautiful on a patio pavement. 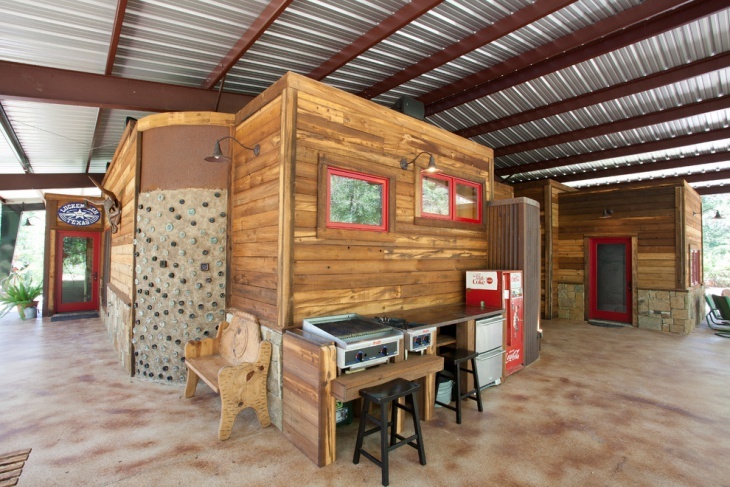 As you can see in this example, the concrete delivers an impressive finish and texture to the installation. The look achieved is not only cool but highly durable and more importantly safe for the average patio activity. 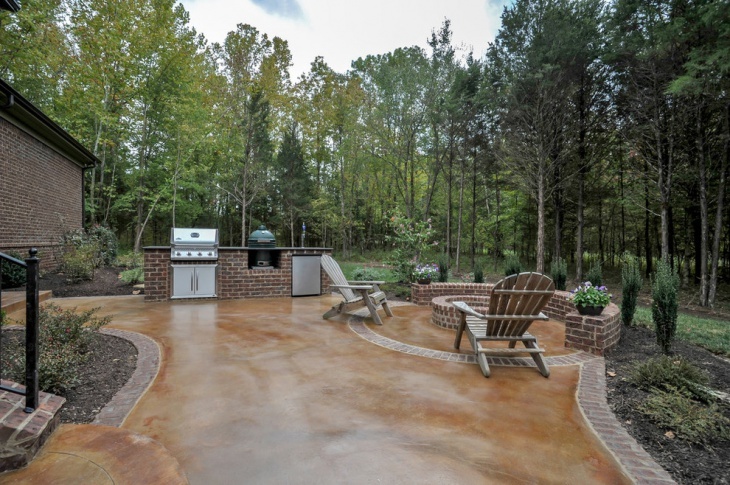 This is yet another way you can use concrete stains of contrasting colors to create a highly creative and fun patio place. As shown in this example, you achieve two distinct stains using concrete as your raw material. 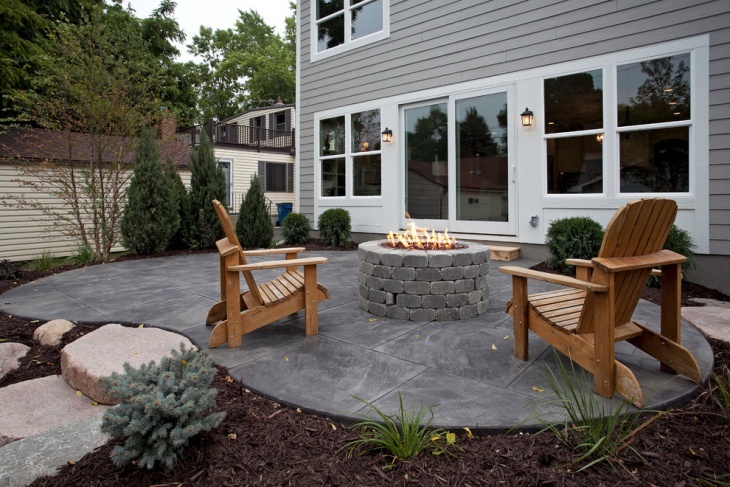 If you are looking to inlay a sprawling deck area in your courtyard, concrete would again be a favorable material. 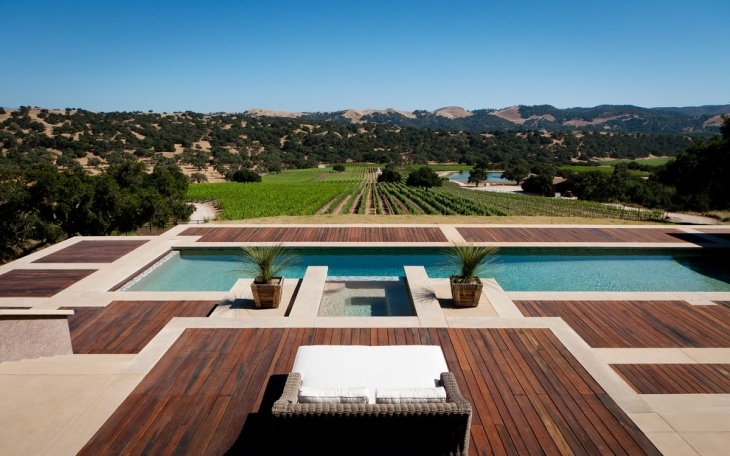 Using wood inlays, your patio would be a highly creative and sturdy area that anyone would love. 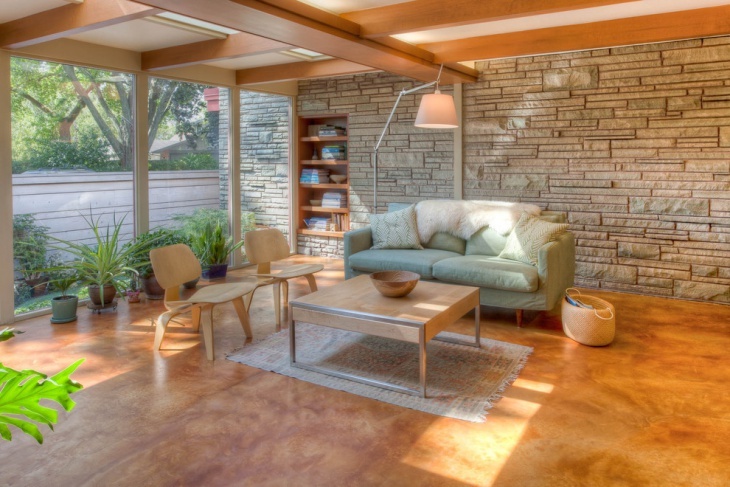 Concrete patio porches are becoming quite popular and common across the globe now. However, you can use the material to come up with really unique stains. 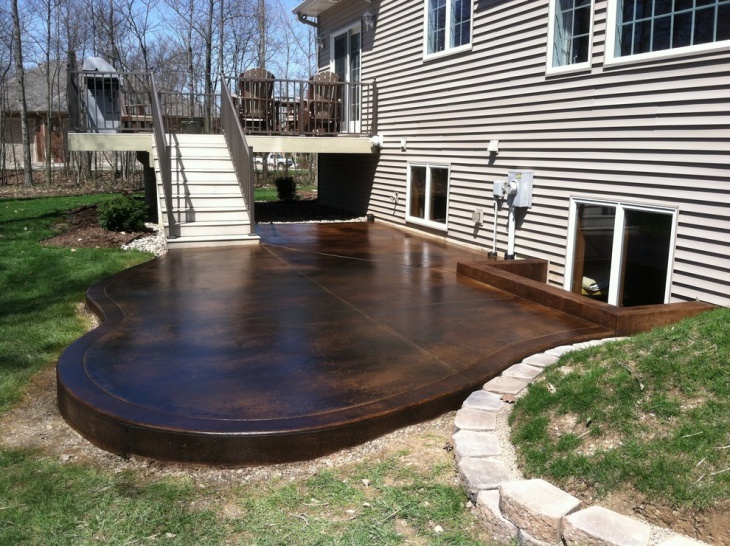 The best thing about concrete stain patterns is that they are exclusive to any home and cannot be completely recreated!